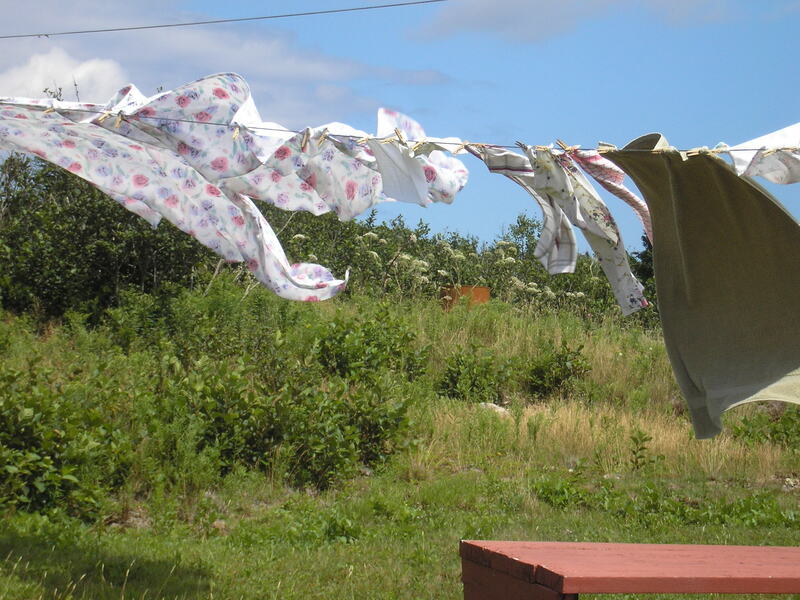 This entry was posted in Poetry, Uncategorized and tagged Cape Breton, clothes lines, clotheslines, laundry, Lautus Press, Maura Dooley, P.K. Page, Project Laundry List, Richard Wilbur, washing lines by Anita Lahey. Bookmark the permalink. Anita, thanks for this thoughtful, eloquent and unusual tribute. Wish I had a copy of Washing Lines, and copies to give away too. I love the image of Henry watching from his bedroom window as you hung the line! Fantastic! Congratulations. And I sure enjoyed your links, your work on Beryl Markham, and I hope to read more of your inspiring wisdom. Marjorie Kildare, Louisbourg! Thank you, Marjorie, Enid and Elise! And Pauline, yes, we neither of us seem able to leave the clotheslines behind, do we? Thanks for this! I didn’t know about you and Seamus. Hot stuff! 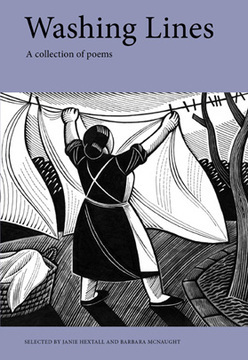 I just realized in reading this – or rather made the connection – that one of the very opening frames of our project is likely going to be a woman hanging clothes on a line in Cape Breton (on Scatteree). Sigh. I hang clothes too, because it only makes sense. Apparently there are neighbourhoods in Montreal where it’s against the law (!! ), but not in the Pointe. Some days the nearby Robin Hood is milling and when I bring my clothes in, they smell of flour. Other days–less lucky–the twittering sparrows have left their mark. I wish I had a Cape Breton breeze, but even in the city clothes smell so much better when they’ve hung on the line in the breeze and sun. And now when I hang clothes, I will think about writing.